Normanby Hall Country Park is ready to launch a month-long festival celebrating words and stories on Sunday 1 July 2018. 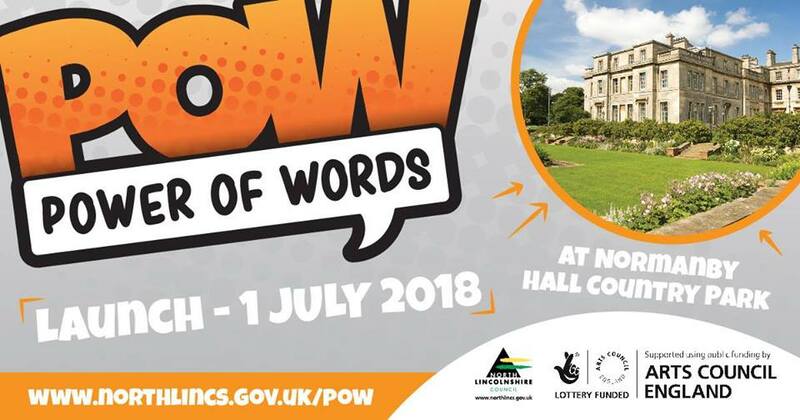 The Power of Words Festival will see events taking place across North Lincolnshire throughout July including artist workshops, live outdoor theatre, music and storytelling performances, interactive family games and much more. The festival is the latest initiative from the council to promote literacy throughout our communities and follows on from the success of the Words Count project, our world-leading Imagination Library programme, and the work of the North Lincolnshire Children’s Literacy Trust. Study Parks is excited to be supporting the festival and will be attending the launch with a series of fun and challenging World Cup themed activities. Create your own team, programme a football game in Scratch and complete football puzzles and challenges.